While Chinese women are twice as likely to develop breast cancer after immigrating to the United States, the 2015 Centers for Disease Control and Prevention (CDC) National Health Interview Study reported that a worryingly low percentage of these women get mammograms. Research by Yiyuan Sun, D.N.Sc., director of the nursing administration and nursing education programs in Adelphi’s College of Nursing and Public Health, reveals a life-or-death difference in the way health messages are delivered to Chinese-American women. Dr. Sun designed and tested two versions of persuasive mammogram messages for a study: one that focused on the benefits of taking action and one that emphasized the costs of not taking action. 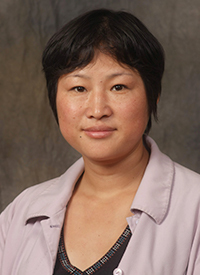 She found that many public health messages in the United States are ineffective because they conflict with Chinese-American women’s unique cultural beliefs and barriers. Given the increasing rates of breast cancer in this population, Dr. Sun urges medical professionals to tailor their messages to ensure equal healthcare access for people of all cultural backgrounds.